Ever since I went on my own endometriosis detox some 15+ years ago, I have avoided dairy. The evidence on why I should avoid it was fairly light…but honestly I was suffering so much and was determined to feel better that I stayed far away from anything that smelled iffy. I talk about avoiding foods that you are sensitive to, from either doing a food sensitivity test or by paying attention to our body. Having food sensitivities are not fun. It can cause abdominal pain, discomfort, and nausea. It also causes embarrassing symptoms like flatulence and diarrhea. It means you can’t digest them and you are upsetting your gut (which controls a lot of our body and mood – So I recommend not doing it). Other symptoms linked to food intolerance include muscle or joint pain, headaches, exhaustion, and even skin symptoms like rashes and eczema. These are linked to the immune response (IgG antibodies) that react with low grade inflammation. 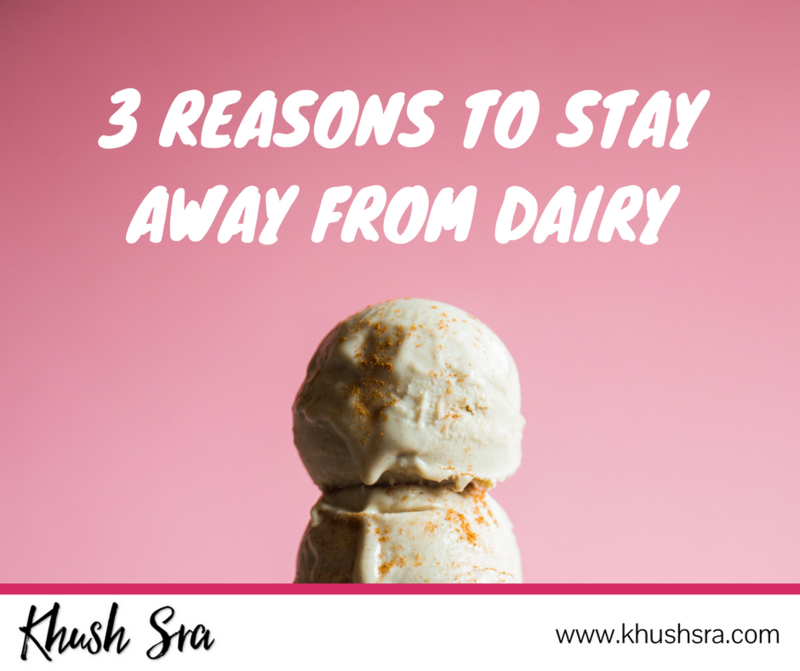 Dairy is just one of those foods that many people seem to be intolerant of, but the symptoms and impacts go way beyond the gas and bloating. Unlike lactose intolerance, casein and whey can cause an actual immune response. It’s an allergy. And this immune response can cause inflammation. In fact, we don’t know how many people have these milk allergies, but more and more are feeling better without it. When we get more mucus in our body, our cells need to work harder at passing through the nutrients we actually need in our gut and our immune system gets congested. Low grade pain and fatigue are common and can be easily relieved by passing on the cheese. Conventional dairy is farmed with cattle living in sub-optimal conditions, ingesting environmental toxins and often fighting health issues. The milk from these cattle, despite how sick they are, is allowed to be served to us – how? You may know better than me. The milk from these cattle contain high levels of toxins, xenoestrogens and hormones that wreak havoc on our delicate female hormones. This increases the inflammation and immune response that is already occuring. Women who have estrogen dominance and other reproductive health issues are advised to reduce or avoid dairy altogether. And this also goes for breast cancer – as the consumption of dairy is linked to an increase risk in breast cancer rates. Although, not as serious, having adult acne and PMS is often a sign of an underlying hormone issue and once you cut out dairy women notice an immediate difference. This is probably telling us that cutting it out is helping the underlying issue balance out also.